Bubble Gum Orchestra-Beyond Time. 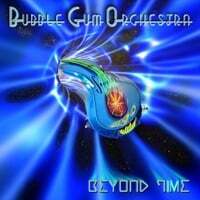 Michael Hildebrandt, a/k/a Bubble Gum Orchestra, returns again with Beyond Time, another collection of ELO-inspired tunes. Just as last year's The Discovery was a riff on ELO's Discovery, this follow-up takes its cue from ELO's Discovery followup, Time (I'm guessing the next BGO released will be some variation of Secret Messages). Anyway, I probably don't need to tell you that if you're an ELO fanatic this album is a must, from the rocking "23rd Century Woman" (which goes beyond ELO to borrow the guitar riff from Foreigner's "Long, Long Way from Home") to the futuristic "I'm in Love With a Robot" (BGO's nod to ELO's "Yours Truly, 2095") to the catchy "Return 2 4 Ever". But the quintessential BGO track is "ELO Forever", the lyrics to which are primarily comprised of ELO song titles (example: "Mr. Blue Sky met his Sweet Talkin' Woman/they fell in love and their hearts Turned to Stone"), the best track of its kind since Bob Dylan used Springsteen song titles to write the Traveling Wilburys' "Tweeter & the Monkey Man". 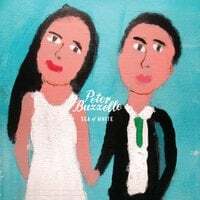 Peter Buzzelle-Sea of White EP. Boston's Peter Buzzelle is a classic power popper who released a pair of fine discs in 2010 and 2011 but were overlooked on this site. I can't ignore him any longer, though, thanks to his outstanding new EP that's the first power pop disc I've heard with the subject of marrying and marriage as its concept. Opener "I'm Gonna Know You" might be the best power ballad I've heard in years, with a swelling, catchy chorus, while "Til Death Do Us Part" and "Happiness and Misery" are a couple of excellent Posies/Matthew Sweet-styled rockers, and "Our Life is the Song" closes things out in hooky fashion. This might be the best EP of 2014 to date, and I'd daresay you'll like it some much you'll want to marry it. Edward O'Connell-Vanishing Act. Edward O'Connell's Our Little Secret was the power pop find of 2010, an assured debut arriving out of nowhere to claim the #3 slot on my year-end list. Four years later he's released the followup, and it strides confidently in the footsteps of its predecessor. If you missed out on the debut in 2010 or (less likely) forgot about it, O'Connell specializes in Nick Lowe/Tom Petty/Elvis Costello pop'n'roll and Vanishing Act is another 12 tracks of quality. This becomes immediately apparent with the opener "My Dumb Luck", an Elvis C-style track with an effortless melody that aging rock critics would be writing about with reverence had it come out in 1979. "Lonely Crowd" is another winner with a chorus backed by driving, Petty-like guitar, and "What Have You Done?" is a mini-masterpiece with a transcendent middle-eight (or bridge). Elsewhere, fiddle and pedal steel make "I'm the Man" a nice, country-tinged track and the minor key of "Yesterday's World" gives it an early 80s Squeeze/Smithereens feel. As with the debut, it's almost folly to single out individual tracks as every one of them has something to offer. Speaking of offers, Kool Kat has this disc exclusively before its official release date next week, and they're offering to throw in Our Little Secret with each purchase. Even if you already have the debut, take this deal and give a copy of it to a friend who appreciates good music. The Paul and John-Inner Sunset. While an obvious Beatles reference, The Paul and John are also the first names of Paul Myers and John Moremen who have teamed up to give us a fine debut EP that, yes, owes a bit to the more famous Paul and John but has other influences as well. Many of you may know Moremen from his solo records and his time as guitarist for The Orange Peels, and Myers was the man behind the Toronto power pop group The Gravelberrys as well as an author of biographies of Todd Rundgren and Long John Baldry. Thankfully the record lives up to their respective CVs. After the 20-second McCartneyesque "Inner Sunrise", we segue into the wonderful "Everything Comes Together", a glorious acoustic guitar-based track that reminds me of The Autumn Defense at their poppiest with some Byrdsian jangle throw in. "Long Way Back" rocks a bit harder and makes good use of the principals' harmonies, and the title track with its stacatto beat and British Invasion melody sounds like the soundtrack to a parade down Carnaby Street. An excellent debut and a nice companion piece to the Edward O'Connell disc reviewed above.